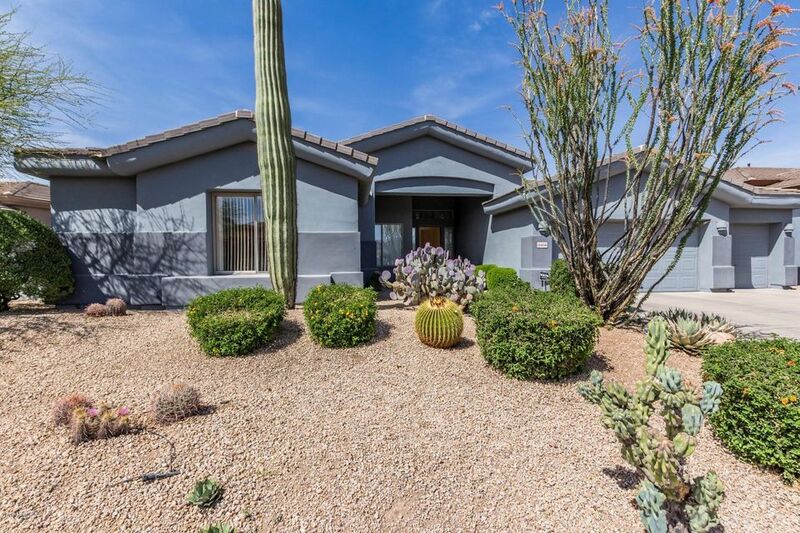 All DESERT CROWN 3 homes currently listed for sale in Scottsdale as of 04/23/2019 are shown below. You can change the search criteria at any time by pressing the 'Change Search' button below. "Finally !! 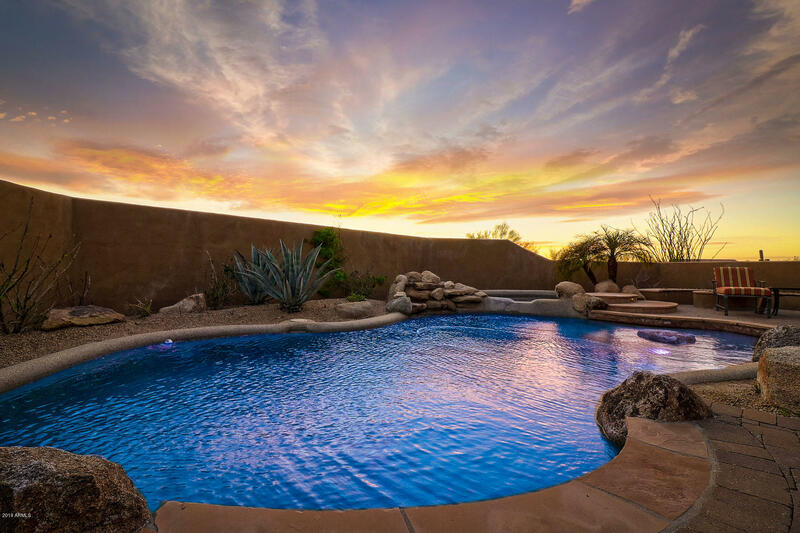 Contemporary Luxury home located in the beautiful community of Desert Crown. One of a kind custom design with soaring ceilings and walls of glass looking out to some of the best Mountain views of Pinnacle Peak, McDowells and city lights looking all the way Paradise Valley. Just down the street from Scottsdale National Golf Resort, this location is one of the best upcoming areas for the future.This amazing home built into the boulders and has its own private gate leading up to its own "
"Very well maintained 3 bed (with rare) 3 full bath and 3 car garage home on an interior lot in Desert Crown near Pinnacle Peak and Troon Mtn. Surrounded by mountain bike and hiking trails and big mountain views. Bright open spacious split floor plan with two roomy Master Suites. Recently upgraded kitchen with granite counters, refinished cabinetry, double oven, designer hardware and composite granite sink. True split floor plan has the main master with a private entrance and remodeled bath inclu"